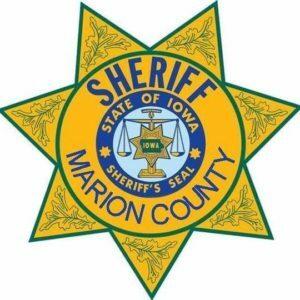 IN THE PAST TWENTY-FOUR HOURS MARION COUNTY SHERIFF’S DEPUTIES RESPONDED TO 33 CALLS FOR SERVICE INCLUDING BUT NOT LIMITED TO: TWELVE PAPER SERVICE ATTEMPTS, THREE RECKLESS DRIVERS, THREE SUSPICIOUS ACTIVITY REPORTS, THREE INCOMPLETE 911 CALLS, TWO DOG CALLS, ONE CIVIL REPORT, ONE RETURN CALL, ONE FRAUD REPORT, ONE EXTA PATROL REQUEST, ONE REQUEST FOR MOTORIST ASSISTANCE, ONE VEHICLE UNLOCK REQUEST AND FOUR OTHER CALLS FOR SERVICE. IN THE PAST TWENTY-FOUR HOURS THE MARION COUNTY SHERIFF’S OFFICE COMMUNICATIONS CENTER FIELDED 103 CALLS INCLUDING 19 911 CALLS. IN THE PAST TWENTY-FOUR HOURS TWO SUBJECTS WERE BOOKED INTO THE MARION COUNTY JAIL. AS WITH ANY CRIMINAL CASE, A CHARGE IS MERELY AN ACCUSATION AND A DEFENDANT IS PRESUMED INNOCENT UNTIL PROVEN GUILTY.